Mr Pancake has been wonderful, I have been on his case since I was about 8 years old. Mrs Cinnamon Roll looks so complex, I haven’t ever made her. But we bond in my mouth and she is ever so sweet. Which is why I have decided to marry them together today…. 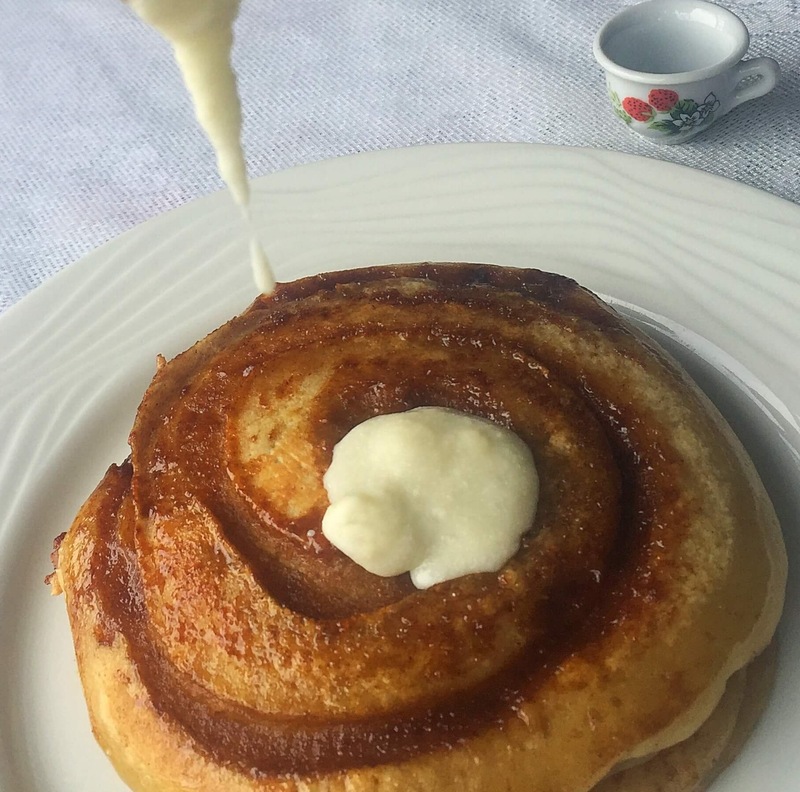 Okay back to reality, basically I need to step up my pancake game, been on the Japanese ones See recipe here, Now it’s time to move on to this beautiful indulgence! If you are using a piping bag, you know what to do…. The pancakes looks so good, but did you really use 4 sticks of butter? I’m guessing it’s a typo? Oooo yes, 1 stick…thank you so much! They look amazing! I’m thinking I’ll have to make them when we do breakfast for dinner! OMG! They look amazing! My son makes the pancakes in our family. It always takes me the whole batch to get a decent and consistent size and color. I have to pass this recipe along. I bet he’ll dig this! 😂 Maybe you should try the mini pancakes (use a Teaspoon to drop the batter into the pan)….I would love to see pictures if he makes them 😬 thanks! I will try this tomorrow for breakfast… I am so excited to make it for my husband! Thanks for sharing!